The port of Valencia will be a pioneer in implementing hydrogen and fuel cell technology into its port operations. 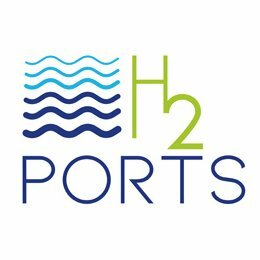 Valencia Port received funding from the FCH Ju for the H2PORTS project, which aims to test hydrogen technology in a reach stacker and a terminal tractor (for example), in addition to developing a hydrogen supply chain in collaboration with suppliers, customers and hydrogen producers. Icelandic New Energy is looking forward to observing the projectprogress and its outcome in the coming years. For details refer to articles by GreenPort and FCH Ju. http://newenergy.is/wp-content/uploads/2019/01/photo-1498673394965-85cb14905c89.jpg 900 1350 Anna http://newenergy.is/wp-content/uploads/2018/08/logo.png Anna2019-01-03 13:29:312019-01-03 14:04:20Gleðilegt NýOrku ár! This 2-day International Hydrogen and Fuel Cell conference to be held in Trondheim, Norway will focus on discussions around the establishment and support of hydrogen energy supply chains. You are invited to submit an abstract to the conference. The deadline for submission for both presentations and posters is April 16th 2018 (h2fc2018@ntnu.no).